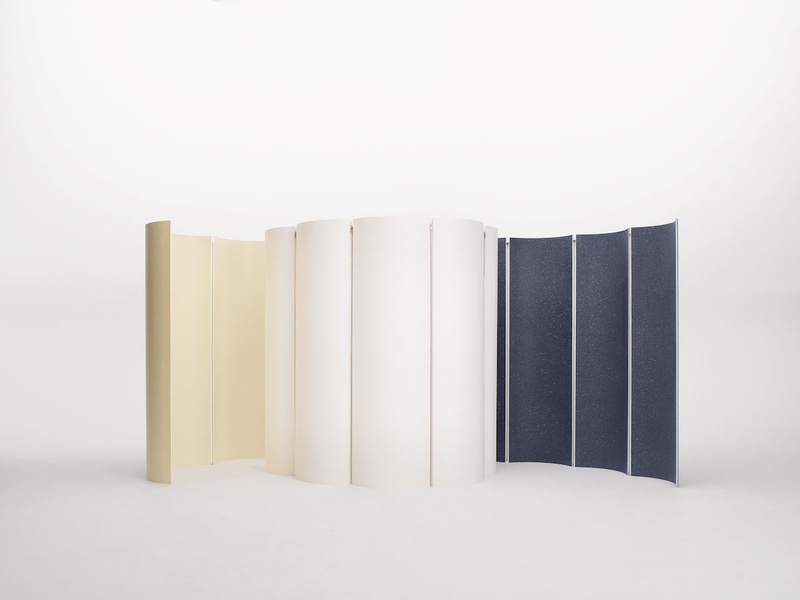 Solid Textile Screen is made from panels of Solid Textile Board joined with zipped textile hinges that allow the screen to be extended and shaped into different positions. The curvature of each panel is achieved using a CNC program to mill channels into flat sheets of Solid Textile Board so that, when the sheets are pressed together, the channels interlock and push the panels into the designated curvature. As a result the panels are self-moulding. The object is manufactured by United Factory Productions for Really.